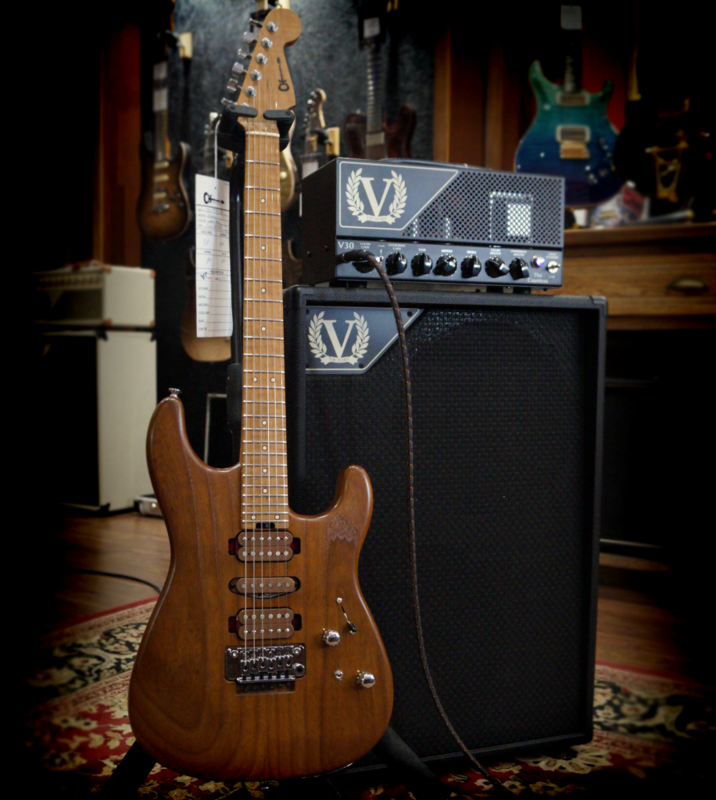 Guthrie Govan Signature Model has arrived! Whether it’s his Solo work, the Aristocrats, Steven Wilson, Hans Zimmer, Asia or any other project, the majority of the guitar playing world is aware of Guthrie Govan and his talents on the electric guitar. Guthrie has a reputation for being humble and refined, tastefully embellishing his music and that of others with his incredible wealth of knowledge and virtuosity. His ability to effortlessly blend playing styles has propelled him to new heights, being regarded in the same realm as players such as Steve Vai and Allan Holdsworth, and has inspired a new wave of electric guitar players at a time where very little guitar is heard in popular music. Floating Tremolo – ultimate flexibility to allow subtle vibrato, or more extreme effects. this comes courtesy of the recessed original Floyd Rose bridge. Tuning stability – Achieved through Sperzel locking tuners, and the Tremol-no system in the guitars back cavity, to allow quick changes between a fixed bridge or a floating bridge. this combination of features meant that the guitar was an immediate success, favoured by professional guitar players who required a real work horse of a guitar. the 2017 model is the latest addition to the GG family, featuring all the great features above in a Caramelised – or Torrefied – Ash body, which received the same treatment as the neck, to create a brand new guitar that sounds, looks and feels like a vintage instrument. This guitar has been well anticipated, and has finally arrived in store at our Ormskirk shop! We can’t guarantee you will play like Guthrie when you plug it in… but it’s worth a go right?